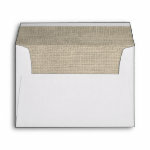 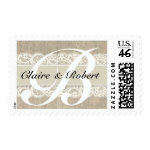 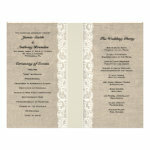 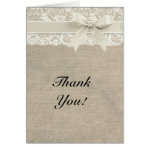 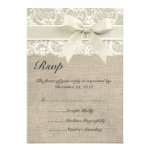 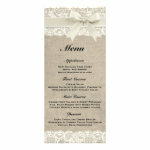 A rustic wedding mailing set featuring burlap textured background, an ivory lace and a ribbon motif. 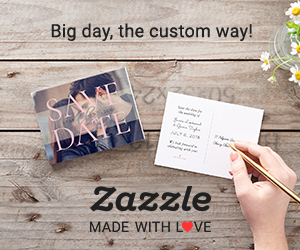 This set includes custom wedding invitations, "save the date" photo cards, rsvp cards, postage stamps, envelopes, ceremony programs, reception menus, wishing well and thank you cards. 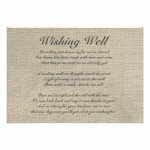 See all matching products here. 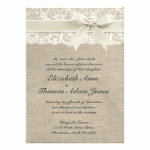 Here you will find an array of wedding related products ranging from "save the date" cards & magnets, wedding invitations and RSVP cards, through to ceremony programs, table numbers and seating charts, as well as thank you cards, favor tags and stickers and many unique wedding gift ideas for you and your guests!